At its stand is displaying the new range of ultra-thin Led Display screens for the company, the classroom or digital signage applications. These solutions they accompanied by a wide range of projection equipment that can be operational in scenarios that they recreate case studies. 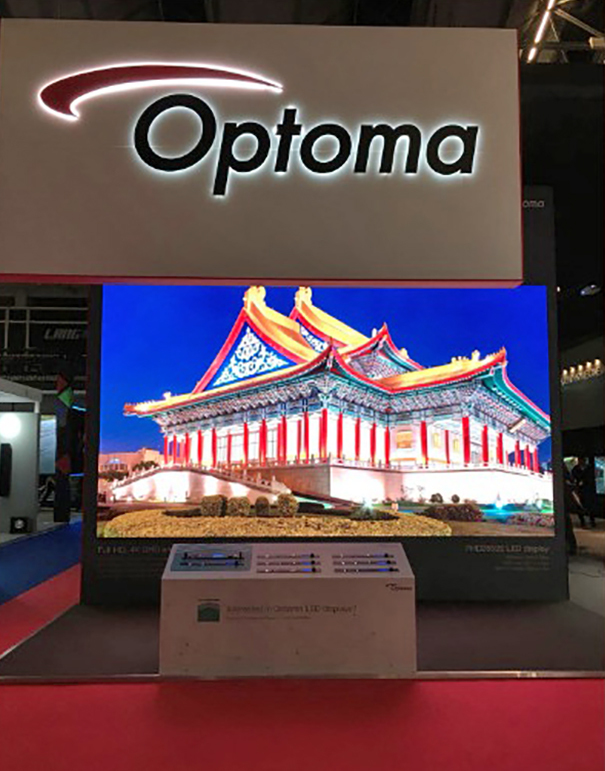 Optoma He has come to IF with its new display technology for its range of UHD, Full HD and Led its switchers and scalers compliant 4K screens. Visitors who come to your booth (Hall 1, N80-1) will be the first to see a new range of high resolution and high brightness LED screens. "ISE is the most important platform for the company to display the latest advances in display and audio technology. 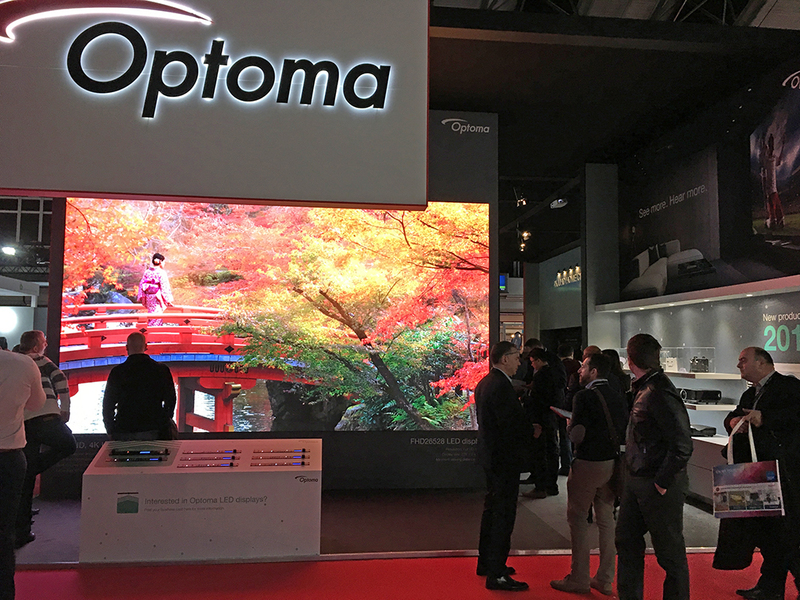 We are announcing officially our new Led Display business", explains Thierry Millet, general manager of Optoma EMEA. 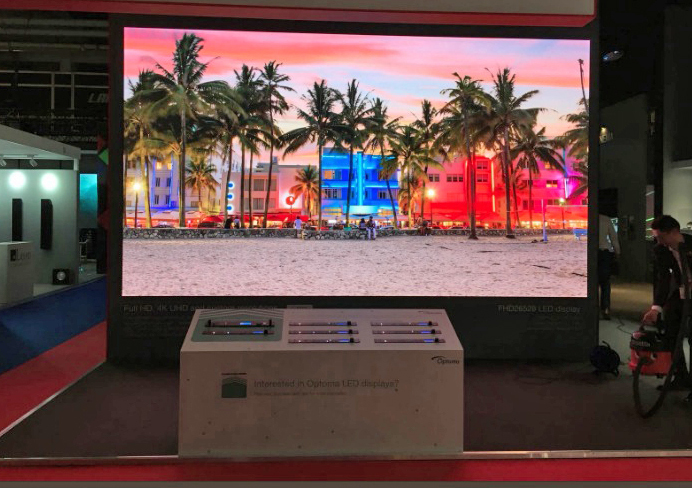 At the fair in Amsterdam is showing the new range of ultra-thin Led Display screens that with aspect ratio 16:9 Full HD and UHD are discreetly integrated into any corporate, educational environment, catering and digital signage. A line that Optoma offers in custom sizes and resolutions. Easy to install, configure and maintain, they are designed to offer maximum reliability and higher picture quality. Led screens can be mounted directly on a wall suitable without a mounting frame. Front access provides quick and economical installation and easy maintenance. At the fair, Optoma is showing its new display Led Full HD 1080 p 226 inches (FHD26528). Designed, supplied and supported as a single solution, these screens Led range from cables to preconfigured processors. This ensures a configuration without problem, for a trouble-free installation. Visitors who come to your stand can test new climbers Led the company to see the change to high speed. HQUltra 4K image processing, they offer the best picture of her class and a low-latency video processing. Entries can be changed without problems in 0.25 seconds. 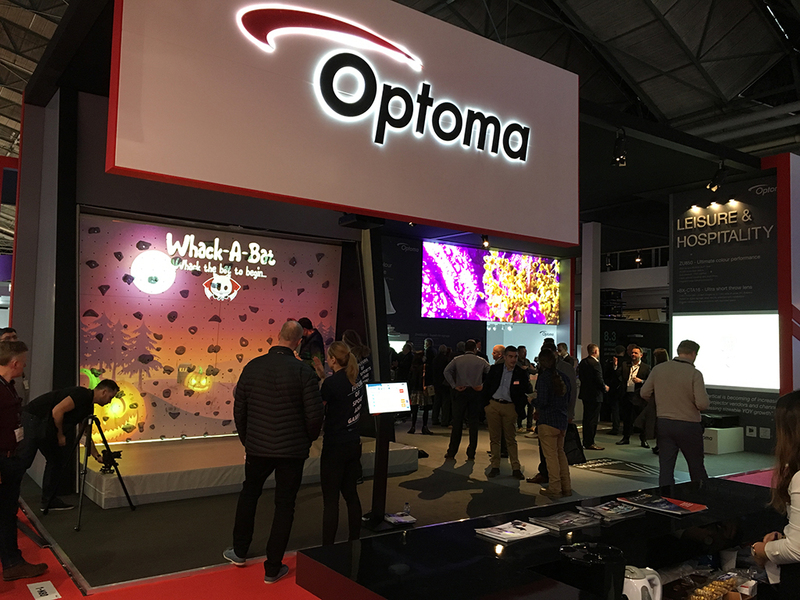 With a thematic section for leisure and hospitality, Optoma also innovative, are exhibiting a wide range of imaging solutions immersive and interactive. At its stand has been installed a large screen with four new projectors ZU1050, producing 20,000 lumens for a visually stunning display. This WUXGA projector technology MCL (multicolor laser) is part of the DuraCore range that combines a light source of longevity and an IP certification of resistance to dust by an independent entity. It is also presenting the BX-CTADome lens with a dome three meters in diameter coupled with DuraCore ZU850 laser. This model ProScene account with resolution WUXGA, 8,200 lumens of brightness and color max performance. Easy to set up, this solution provides a portable experience and immersive from a single projector without the need to combine. Lens short BX-CTA16 ultra throw lens allows a high flexibility in professional environments. Compatible with laser projectors DuraCore ZU850 and ZU1050, provides a high-gloss in environments with limited space, with a ratio of projection of 0, 36:1. Ultra-short throw lens provides maximum flexibility and without shadows, perfect for signage applications. With bright 4,000 ANSI lumens and technology laser DuraCore, provides a high brightness uniform for up to 20,000 hours of uninterrupted, low maintenance and outstanding execution. Another model that is present in Amsterdam is the laser projector DuraCore ZH400UST, a team of ultra-short throw displayed embedded in a solution of digital signage for elevators, created by the Schindler Group. Visitors can see and experience the first gaming platform of augmented reality in the world for climbing Valo Motion, with the laser projector ZU650 walls + 6,000 lumens. This model WUXGA is designed for continuous 24 × 7 operation, so it is suitable for applications where higher performance is required. 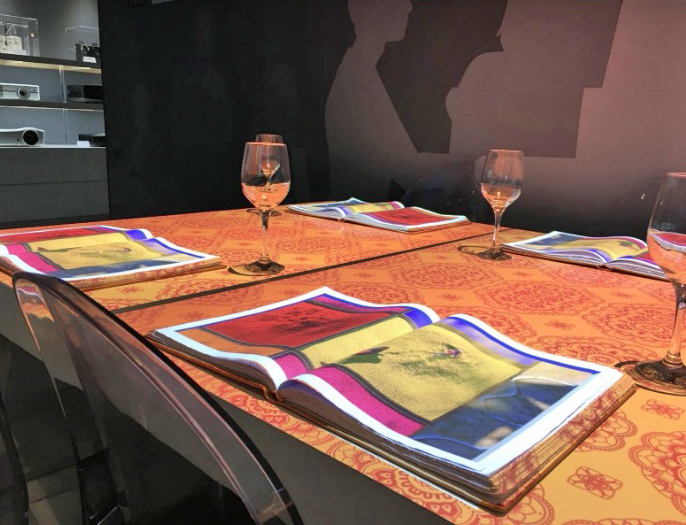 Within the section on diving and mapping 4 k described a demonstration, at the hands of the Belgian company Skullmapping, with four projectors laser UHZ65 two different animations, transforming the dining experience, organized by the charismatic ' you Petit Chef'. The sensory projection will come from the hand of Adnowi AB, which has created a shopping experience for the customer today. It combines the visual technology of Optoma with sound and smell for a purchase environment attractive and sensory. 9 February 2018 BenQ displays at ISE advanced signaling and screening solutions.